Ever come off a major project with feelings of both relief and immediate nostalgia? For most of the summer, Chitra from The ABCD's of Cooking and I had been hard at work planning Tangra Summer, an Indian-Chinese pop-up dinner at the Wyckoff Farmhouse Museum, the oldest surviving building in all of New York. It was an exciting chance to collaborate on a unique creative project, and a ton of work, but in the end everything came together swimmingly. The whole project from beginning to end took a little over 2 months, and it was crazy hectic and wonderful at the same time. Here are just a couple of quick shots from last night, but we'll have many more photos (including the beers from our sponsors Big Alice Brewing) and a full recap soon! What a month this has been! New York has been blanketed by an insane heatwave, so I've been trying to keep cool by staying busy indoors in front of a fan and temperamental AC unit. And teaching cooking classes, which also happen to be indoors (fortunately!) I've also been prepping a few new recipes into publish as well, but in meantime I'm happy to share a few recent press mentions. Stir-frying at Home - Epicurious recently published this great primer on stir-frying and featured Appetite for China and The Chinese Takeout Cookbook. Check it out to pick up some new tips and tricks! Interview with Asia Society - If you've ever wondered how Puerto Rican cooking or French culinary training relates to Chinese food, read on! The idea for Tangra Summer came about a few months ago. My friend Chitra Agrawal, founder of The ABCD’s of Cooking and a cooking teacher who specializes in Indian food, had suggested we team up to create a pop-up dinner to celebrate local food in Brooklyn. A farm-to-table dinner with a twist. Instead of New American cooking, we could combine our respective backgrounds in Indian and Chinese cooking and create a cross-cultural vegetarian dinner highlighting seasonal food in Brooklyn. Named after a Calcutta neighborhood home that was the birthplace of Indian-Chinese cuisine, Tangra will be held once a season to celebrate farm fresh produce. Our inaugural dinner, Tangra Summer 2013, will debut August 25th at the Wyckoff Farmhouse Museum, a Dutch farmhouse that dates back to 1652 and is New York’s oldest surviving structure. The dinner will take place inside the historic farmhouse, with dishes served family-style, featuring vegetables grown onsite from head Wyckoff gardener Jason Gaspar and beers from our sponsors Big Alice Brewing out of Long Island City. We’ll also have pre-dinner lawn games; in short, plenty of fun to cap off the summer! 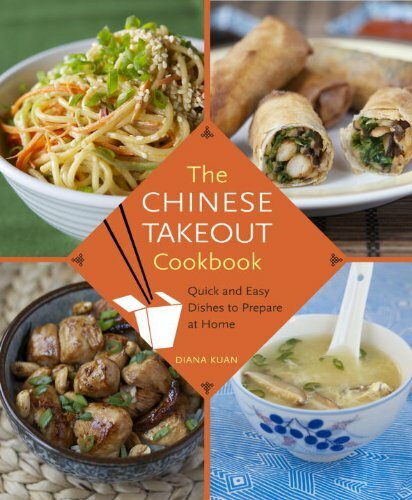 Want to impress your friends and family with your dumpling-making prowess? Are you in New York in July? Join me on Wednesday, July 24th at West Elm Market in Brooklyn for another fun-filled class! We'll learn to fold both dumplings and wontons and fool-proof methods of cooking them to perfection. 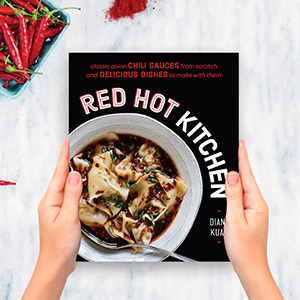 You'll also learn how to make the special spicy wonton sauce that many dumpling class graduates have gotten hooked on. Finally, we'll feast! Nobody (to my knowledge) has ever left this class hungry. This class is for both omnivores and vegetarians. Sign up here and join in on the dumpling-making action!